It's hard to believe 2018 is over! Time flew so fast. We're proud to stay on course to becoming the instantly global, community-owned, used and new goods and services shopping channel powered by the steem blockchain. The dStors team is building a platform for you, and now that we're going open source - you can say that we're building it with you. This community-focused development is what will separate us from other, similar projects. We can't wait to see you start selling your old stuff for STORS (or steem!) and use your racked-up STORS to get the things you'll 100% love! Our original vision was to create this community-driven goods and services exchange space powered by the steem blockchain, where you'd be able to give your old stuff away in exchange for STORS and be rewarded with cryptocurrency on both sides of the exchange/trade. Old/used stuff is hard to price and STORS gives everyone an incentive to list your stuff in the first place! If 2018 was a year of planning and preparation, then 2019 will definitely be the year where you will be put at the center of our release and we can all start enjoying the steem blockchain in a new way. I'm looking forward with great enthusiasm, personally. We had our ups and downs since the inception of the project but we're not slowing down. This polar express is on its way to greatness! We hope to see you continue to support the steem blockchain by using it actively and its dapps today and in the future. Here's to a year of growth for all of us! As a reminder: our Delegation Option is open for delegators who will receive 5 STORS per 1 SP delegated. To add to this already sweet, risk-free deal, we have started to distribute upvotes at 10X-20x the value of delegated SP (scaled). 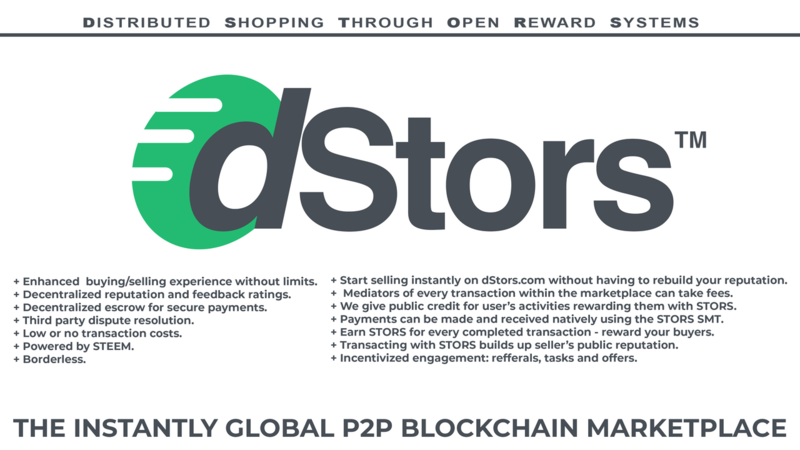 This is to tie you guys over until we're ready to give you your STORS wallet on dStors.com!! then it shall be multiplied by 10X-20X and upvote your content once a day, bringing this upvote value up to $2.40 for 5kSP delegators! There's no minimum as to how much can be delegated. Delegate 1SP and 5STORS, period. An updated roadmap will be published sometime this week to inform you of our current progress as well as future plans. I have no patience for thieves. Kali Ju deceived me. Over a month ago, Kali Ju agreed to give me the Master Keys to the @dstors account so I can then rightfully change the keys as mine and feel more secure about depositing my own funds. I trusted Kali. During the midst of disagreement, Kali Ju forced an account recovery without my consent and stole it back. Bear in mind that this account was not on loan to me, nor was it to be temporary. He embezzled the account back along with my funds in it. He must have initiated the recovery soon after giving me the Master keys because the recovery took less than 15 minutes. It's clear that all had been premeditated. The dStors team has been using the stolen SP and liquid STEEM with impunity to their whims. Multiple requests for the return of funds have been completely ignored by Kali ju. A proven thief is never successful. Does dStors want to make 2019 the year of thieves? If so, they have already made great strides! NAMASTE, maybe it's all due to misunderstanding @haejin. I Request to Respected @dstores, solve their problem. we are like a family and there should not be a misunderstanding in the family. All I have learned from my prime minister Shri Narendra Modi. 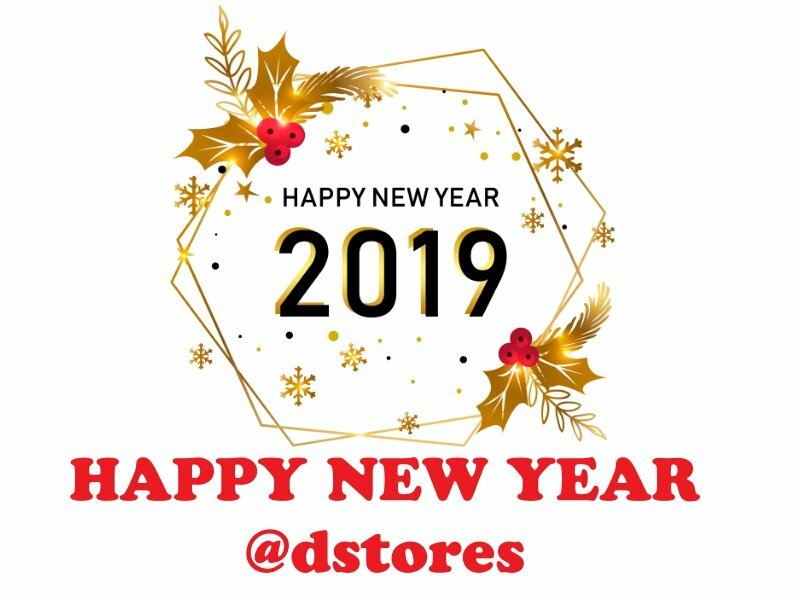 I wish you all the best for 2019 and hope that all the wrong disputes will resolve itself so that we all can enjoy some great shopping on Steem. I will keep my delegations with you until the MVP is out!!! 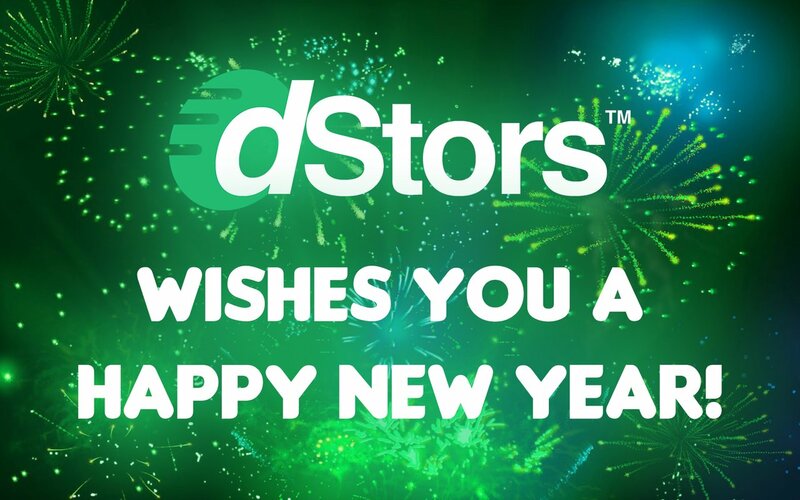 Happy New year dStors team and looking forward to exciting time ahead. Best wishes. Just to confirm.... no minimum for delegation? Happy New Year. Wish you the best. I have 2 posts that have yet to be upvoted by the @dstors account even though I delegated. One of those posts is now 5 days old. Wish you have a best new year! and wish your team everything good and strong. Just thought about things I could sell for some Steem! Looking forward to seeing progress! What's with the change of color to green? I guess that orange one was cool. I have many posts that have not been upvoted (10× - 20×) by the @dstors account since I delegated. I delegated about 1,432 SP many days ago and 5,000 SP a few days ago while I uploaded many posts everyday and some of them were related to dstors. It started upvoting earlier today or last night :) Thank you and happy new year! Thanks @dstors for upvote benifits😀. Awesome stuff. I see you said you've started upvoting delegators. When can we expect to see those upvotes? I've delegated enough that I'd like to have the SP available to me for my manual curationeach day if I'm not getting any upvotes yet. It's really hard to believe Steemit has run for almost 3 years. I've been there here for 34 months. Wish in 2019 Steemit will keep perform well worldwide and more steemians will join us. have a wonderful weekend @dstors team!